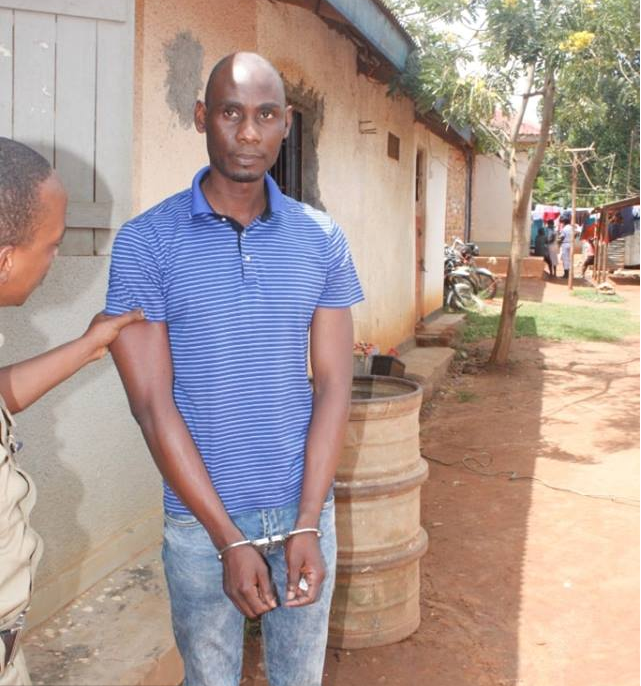 KAMPALA- Police in Kasangati on Tuesday arrested a man known as Isma Kanonya for allegedly obtaining over Shs270m by false pretence from unsuspecting residents. According to police, Kanonya claimed to be a land broker of a-40-acre land located in Busukuma and conned over 60 unsuspecting squatters to buy. The complainants claim they were approached by Kanonya in 2015 as a land broker who presented to them a Memorandum of Understanding between him and the actual landowner a one Mr. Patrick Luboowa. They say Kanonya explained to them that the land in question was to be sold where 28% would be paid to them as compensation for resettlement, 24% as his commission and 48% to the landowner. Police revealed that a couple of months later, Kanonya approached the occupants and presented to them an agreement between him and Luboowa indicating he had paid a sum of Shs800m as part of the payments for the entire land a condition that placed him as the rightful owner of the land. The suspect then hired surveyors to partition the land into (50×100) and (100×100) plots and started receiving deposit payments while promising that he was processing their land titles. However, after collecting millions from the would-be new occupants, Kanonya disappeared before delivering land titles as he had promised. Later, Mr. Luboowa the real landowner presented verified documents of the land to the occupants after receiving news that his land was up for grabs, thus police intervention. Kanonya was arrested as he had come to collect more 14 millions of money from another interested land buyer. Kampala Metropolitan Police Spokesperson Luke Owoyesigyire called upon the public to always search for the title in the lands ministry or regional offices before paying for such land. “It’s also good to ask people in the neighbourhood if there are any disputes over the land and avoid dealing with third parties but instead deal with the owner,” Owoyesigyire said. The suspect is currently detained at Kasangati Police Station on charges of obtaining money by false pretence vide SD REF 38/24/10/2018.